"When Peter Lieberson began composing in the early 1970s, his compositional hero was Stravinsky in his late acerbic style, and his teachers included Milton Babbitt and Charles Wuorinen. But he was also fond of musical theater, Minimalism and jazz; before he studied composition formally, he learned about harmony by figuring out the voicings on recordings by the jazz pianist Bill Evans. Mr. Lieberson’s works meld most of those influences into a cohesive, energetic and intensely communicative style, with brainy, atonal surfaces that attest to his post-tonal pedigree and a current of lyricism and drama that gives this music its warmth and passion." Peter Lieberson's works first came to national attention in 1983, with the premiere of his Piano Concerto, composed for Peter Serkin and commissioned by Seiji Ozawa and the Boston Symphony Orchestra (BSO) for their centennial. Andrew Porter wrote in The New Yorker that it was a "major addition to the modern concerto repertory." It was a finalist for the Pulitzer Prize and the subsequent recording of the work won Opus Magazine’s Contemporary Music Award for 1985. Following that work’s success, Lieberson was again commissioned by Ozawa and the BSO, which resulted in Drala (1986), "a short symphony but a profound one and, in many of its pages, a profoundly beautiful one," according to the Boston Globe. Drala has since been performed by many of the world’s top international orchestras including the Chicago Symphony Orchestra, the Los Angeles Philharmonic, the San Francisco Symphony, the Toronto Symphony, The Cleveland Orchestra, the New World Symphony, and the London Sinfonietta. Lieberson's best-known work, Neruda Songs, a setting of five sonnets by Pablo Neruda for mezzo-soprano and orchestra, was commissioned by the Los Angeles Philharmonic and the Boston Symphony for Lorraine Hunt Lieberson. The world premiere took place in Los Angeles in May 2005, followed by performances with the Boston Symphony in Boston and at Carnegie Hall. Neruda Songs has also been performed frequently by soloist Kelley O'Connor with the Chicago Symphony Orchestra, the Berlin Philharmonic, the Louisville Orchestra, the Atlanta Symphony, and the Aspen Festival Orchestra, among others. The BBC Symphony with soloist Sarah Connolly presented the British premiere in 2010. Two recordings of Neruda Songs have been released: Lorraine Hunt Lieberson, in one of her final performances, with the Boston Symphony and James Levine (Nonesuch, 2006) and Kelley O’Connor with the Atlanta Symphony and Robert Spano conducting (ASO Media, 2011). Honored many times in his career — includingthe University of Louisville’s Grawemeyer Award in Music Composition for Neruda Songs — Lieberson’s composition was profoundly influenced by his practice of Tibetan Buddhism and in particular by the teachings of Chogyam Trungpa. Lieberson’s recent concert works include: Songs of Love and Sorrow, settings of a second group of Neruda love sonnets for baritone Gerald Finley and the Boston Symphony Orchestra; Remembering JFK: An American Elegy, for narrator and orchestra with selected excerpts from Kennedy speeches, commissioned by the National Symphony Orchestra to commemorate the 50th anniversary of John F. Kennedy’s inauguration; Remembering Schumann for Yo-Yo Ma (cello) and Emanuel Ax (piano); and The Coming of Light, for baritone, oboe, and string quartet. At the time of his death, Lieberson was at work on a percussion concerto for soloist Pedro Carniero, commissioned jointly by the Los Angeles Philharmonic and Lisbon’s Gulbenkian Orchestra. This work will be premiered in the 2013-14 season. Other compositions of the past decade include: Piano Concerto No. 3, for pianist Peter Serkin and the Minnesota Orchestra; Piano Quintet for Peter Serkin and the Orion Quartet; Ah for The Cleveland Orchestra; Six Realms, a cello concerto for Yo-Yo Ma and the Toronto Symphony; Red Garuda, his second piano concerto for Peter Serkin and the Boston Symphony Orchestra; and Fire, a 150th-anniversary commission from the New York Philharmonic, who also commissioned and premiered The World in Flower for mezzo, baritone, chorus, and orchestra in 2009. Dramatic works figured prominently, though few, in Lieberson's creative output. Ashoka's Dream is the second of a pair of dramatic works, with King Gesar, on the topic of enlightened rulership and the creation of enlightened society. Set to a libretto by Douglas Penick and commissioned by the Santa Fe Opera, Ashoka's Dream received its premiere in July 1997. Mark Swed of the Los Angeles Times wrote that Ashoka's Dream is "both splashy and stirring in its revealing of the majesty of its storytelling. The colors of the orchestra dazzle with the sonorities of great bell-like, all-encompassing chords, with rich lyrical passages and with martial orchestral conflagrations ... It is music in which one feels the force of progress and senses not only its power but also the scariness of change ... Ashoka's music is the most beautiful of all, and it is an inspiration to watch the complexities fall away from it as his wisdom grows." Based on material from the opera, Liebersoncreated an orchestral work, Suite from Ashoka's Dream (2009), commissioned by the Aspen Music Festival and the Toronto Symphony. King Gesar, a work for narrator and chamber ensemble, premiered at the 1992 Munich Biennale Festival, and was recorded for Sony Classical with a documentary filmed on its creation. Lieberson's collaborations with Peter Serkin resulted in the three piano concerti and the piano pieces Garland, Fantasy Pieces, Bagatelles, Scherzo, and The Ocean that has no West and no East. Other notable chamber works include Variations for Violin and Piano, premiered at the Spoleto Festival U.S.A. in 1995; Variations for Piano, for Emanuel Ax, first performed at Lincoln Center in 1996; and the chamber works String Quartet, Ziji, and Raising the Gaze. A significant portion of his catalog has been commercially recorded, much in the last decade. A 2002 Deutsche Grammophon release included Drala, Ziji, and Fire (performed by The Cleveland Orchestra/Knussen); Raising the Gaze, Accordance, and Three Songs (ASKO Ensemble); and Free and Easy Wanderer (London Sinfonietta). In 2006, Bridge Records released a new recording of Lieberson's Six Realms, the Horn Concerto, and Rilke Songs, and in 2010, released a new disc including Red Garuda, Piano Quintet, and Rilke Songs, recorded by Lorraine Hunt Lieberson and Peter Serkin. Other recent recordings include the Tashi Quartet, performed by Antares; and Remembering JFK, performed by the National Symphony Orchestra with Christoph Eschenbach conducting. Peter Lieberson was born in New York City in 1946. He was the son of the late Goddard Lieberson, former president of Columbia Records, and the ballerina Vera Zorina. Lieberson's principal teachers in composition were Milton Babbitt, Charles Wuorinen, Donald Martino, and Martin Boykan. After completing musical studies at Columbia University, he left New York City in 1976 for Boulder, Colorado, to continue his studies with Chogyam Trungpa, a Tibetan Vajrayana Buddhist master he met in 1974. Lieberson then moved to Boston to direct Shambhala Training, a meditation and cultural program. 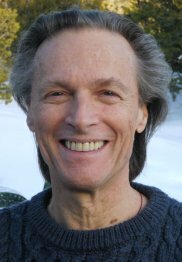 During this period he also attended Brandeis University and received his Ph.D. From 1984 to 1988 he taught at Harvard University, and then became international director of Shambhala Training in Halifax. Beginning in 1994 he devoted his time exclusively to composition. In April 2011, Lieberson died following complications from leukemia and lymphoma. Among Lieberson's many awards were those from the National Institute of Arts and Letters and a Brandeis Creative Arts Award. In 2006, he was inducted into the American Academy of Arts and Letters. Peter Lieberson’s music is published exclusively by Associated Music Publishers.